EmStat Blue is a small and low cost potentiostat with research grade capabilities. 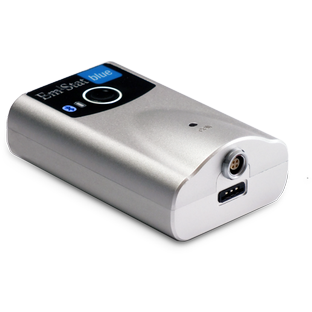 It has eight current ranges from 1 nA to 100 mA (EmStat3+ Blue) full scale, with a minimum resolution of 1 pA. It provides the most relevant electroanalytical measurement techniques and is used with the PSTrace software or with PStouch for Android.